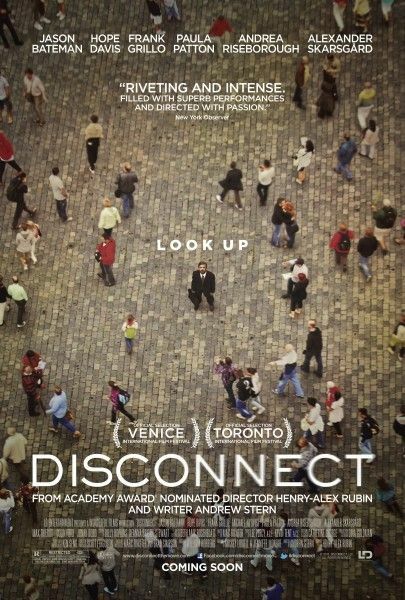 The dramatic thriller Disconnect shows how ordinary people struggle to find personal connection in today’s world where modern technology is so readily available, and it can both unite and divide us. While the stories of strangers, neighbors and colleagues collide, the technology that we so often rely upon proves that it can result in unforeseen consequences for those around us. From first-time narrative feature director Henry-Alex Rubin, the film stars Jason Bateman, Hope Davis, Frank Grillo, Michael Nyqvist, Paula Patton, Andrea Riseborough, Alexander Skarsgard and Max Thieriot. During a press conference to promote the film’s release, Bateman talked about his attraction to this very dramatic role as a father who can’t find the time to communicate with his family, how he got into the headspace for this character, which scene he was most worried about shooting, how he feels about technology at home, how he handles the issue of cyber-bullying with his own kids, and what he hopes audiences will take away from seeing this film. Check out what he had to say after the jump. Did you have to really fight for this role, since this is not what you’re typically known for? JASON BATEMAN: I’m not sure how much of a fight it was. I can’t imagine that I was first choice. I was just happy that it came to me. There wasn’t an audition process. I was really privileged that they trusted me with it because stuff like this is like threading a needle and you need people who know what they’re doing. They didn’t have a lot of reason to think that I could pull this off, so I’m just thankful that they trusted me. I’m lucky to be a part of this. It’s a great movie! How did you get into the headspace for this character? BATEMAN: Boy, I don’t know. Our job, as actors, is to just try to be as accurate and as mindful of what the audience is going through and receiving and processing. If it’s a situation where the character should look a little bit out of control or do something stupid, it’s your job to act into that, in a believable way. Which scene were you the most worried about shooting and pulling off? BATEMAN: I don’t get a chance to cry that often on film, so I was hoping that talent would come my way, that day. 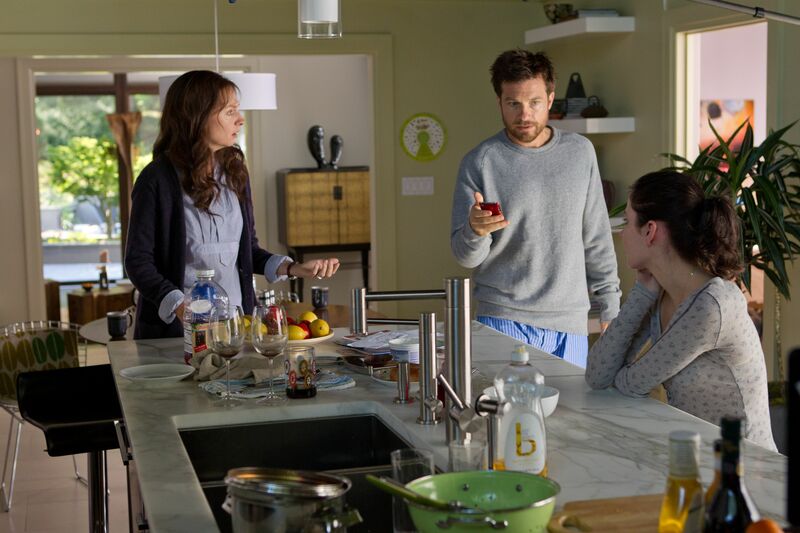 I cheated, I guess, when I just started looking at my technology device – my iPhone – to look at pictures of my kids, before I did the scene where I had to cry. That was a good trick that I found. Do you have any rules about technology at home, as far as when people can and can’t use it around you? BATEMAN: I don’t really find a problem with technology or television, or anything. I’m a product of it. I grew up watching TV, and I don’t think I’m too dumb or too crazy. I think a big responsibility falls on the parents. The kids can’t watch The Wire, but there’s great educational stuff for them to watch on TV, if it is TV time. There are great apps on the iPad that are interactive and educational. I’m not that parent. My wife is, a little bit more so. We try to good cop/bad cop it. But, I don’t really see a problem with it. What do you enjoy about the ability to connect with people through technology, that you wouldn’t be able to connect with otherwise? BATEMAN: I really like that. I can connect with so many more people throughout the day than I ever could with just a telephone. In fact, I can be on a telephone call, and be emailing or texting somebody else, as well. I would imagine everyone appreciates that efficiency of communication. I see it as a huge positive. Any of the obvious negatives are just another thing to navigate, as a person. It’s just one of this generation’s challenges. There will be another one for the next generation, and our parents had a different one before us. I think the internet is a huge positive. Do you think we’ll ever rebel against social media, as a society? BATEMAN: I don’t think so. I just don’t think you can keep the genie in the bottle. People want to communicate. That’s what our species does. This is just a more efficient way to do it. You can motivate a bunch of people to stand up against oppression and free a whole country with it. It’s fantastic! Some people are going to abuse freedoms. We see it with gun control sometimes. That’s going to put it on the front page of papers and some people will say we should put it away, but it’s that whole thing about one bad apple shouldn’t ruin it all. People are going to abuse freedoms, but that’s part of its fabric. It falls on us as parents, or whomever, to help people through those instincts and try to keep it positive. How do you handle the issue of cyber-bullying, when it comes to your kids? BATEMAN: I think it’s my job to let her know what the functionality of a lot of this stuff is and what the ramifications could be. If she sends that text or that email or that picture, it can be disseminated without any of her control, whatsoever, so that would be something to look out for. After that, if she makes a mistake, she’s obviously going to learn a painful lesson. It’s the hot stove theory. You can tell them until you’re blue in the face that it’s hot, but sometimes the best lesson is if they actually make the mistake. I just don’t think I’m going to be the kind of parent who puts my kid in a bubble and never wants to let them out. You just try to prepare them for all the obstacles and hope they make the right decisions. And bullying is not something that’s exclusive to the internet. That’s been around forever. What’s the take-away from this film for audiences? Is this a cautionary tale? 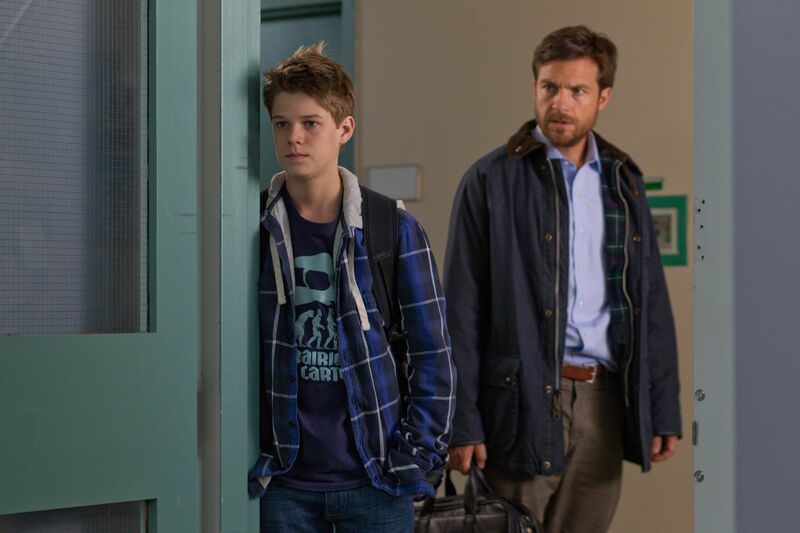 BATEMAN: I don’t think there was any didactic effort here. This isn’t some sort of public service announcement. I think Hollywood is always looking for new baskets from which to write screenplays, whether they be dramatic or comedic. Technology is certainly not new, but there are some nice, interesting warts in it that make for good stories, and this is one of those. At the end of the day, it’s about human interaction, which is what any movie is about. This is just a device and tool through which we connect some stories and present some challenges to these people. I don’t think there’s some huge lesson to learn, or at least is not attempting to be taught. I think everybody should see it, though. If you like a good movie, I think it’s a great movie. It’s certainly a lot better than a lot of the films I’ve done, and it’s certainly a lot more dramatic than the stuff that I’ve done. I appreciate that, and I appreciate the way that it looks. I think it was beautifully shot and scored. It’s just a great film. Disconnect opens in theaters on April 12th.